Best described as a running, jumping, crawling, leaping tour of London, where you get out into the fresh air and use Bankside’s neighbourhood as your gym. 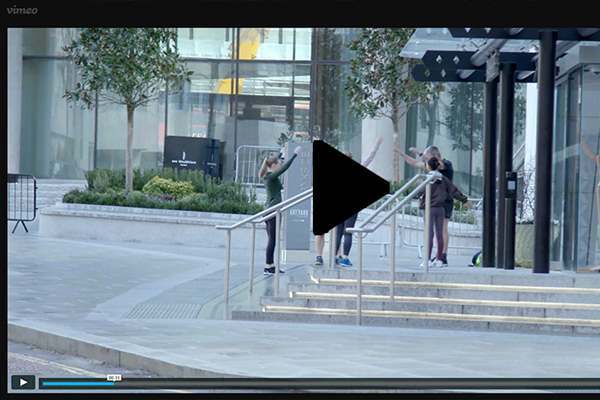 StreetGym® founder John Allison heads up this one-hour active travel experience; learn more about our local history while using its gradients, architectural features and street furniture to improve your physical fitness and mental wellbeing. Our local area is particularly well suited to these classes. Festival Pier, South Bank beach and a wide variety of concrete structures offer a diverse set of locations and exercise opportunities. Sign up for you free StreetGym® class at Front Desk. One hour classes are every Tuesday and Thursday at 6.30 pm. See for yourself how these classes work. Discover how your relationship with the physical objects in our neighbourhood could maintain and maybe improve your fitness and well-being.